Is there any such thing as too much diversity? When we think of bands that incorporate multiple sounds in one album, let alone one track, they run the risk of playing out chaos. 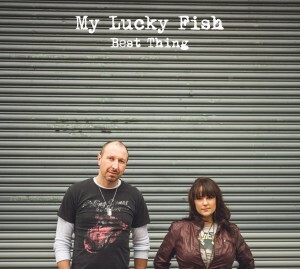 For, the now, Stephens City, VA based My Lucky Fish, their debut album Best Thing tempts with audible chaos but does just enough to keep things under wraps with the help of a few key players. David Mark Smith and Rachael Schoellen ventured out to craft the nine track album out of an audible vision unlike most duos out there. With the help of engineer Ricky Furr, who also commands the drums, Shenandoah University’s Tom Graham on bass and classic rock guitarist Doug Sharpe what would be an exhausting range of style hones in on originality and leaves the door wide open for the future. My Lucky Fish describes their sound as “rock, intermixed with pop, funk, metal, and a scattering of ballads,” but when they put their money where their mouth is, it comes out more ballads with a scattering of rock, pop and a hint of inexplicable funk/metal – funtal if you will. 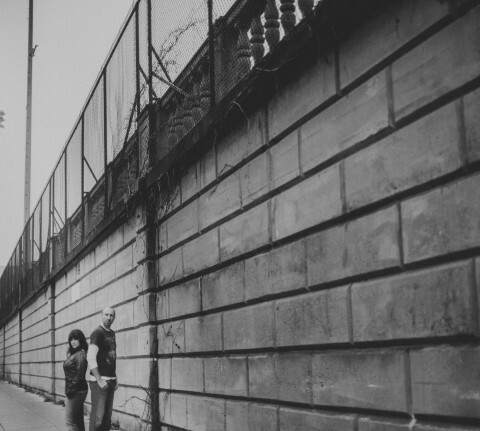 The first three tracks launch with three distinctively separate sounds; the alt-Britpop (“Bother Me”) switches into folky, almost modern country (“Best Thing”) and then moves into a duet on piano (“Catch Me When I Fall”). And then just when My Lucky Fish appears to be headed in a direction, they throw in a curveball. “Leave You” incorporates a background rap with Schoellen’s airy vocals, rings it out on a funky little lick, but then carries it on a rock foundation. By this point, confusion sets in and I struggled with the thought of the duo simply throwing everything they can against the wall to see what sticks. But then, almost by design, the album settles in and becomes a solid sound to cap off the B-Side. “Jody,” “Change My Mind,” and “See Me Love” feel as though the duo found themselves and poured it into these tracks. I find myself coming back, just for the finale. My Lucky Fish tempted with unflattering diversity with the release of Best Thing but ultimately, strangely, found themselves. They never went too far for me and when looking at the whole picture, ended up developing a starting point that has me hoping to hear more. Everyone loves a good mash-up. Elton John and Eminem. Lady Gaga and Kendrick Lamar. Nelly and Tim McGraw. The cast of Glee. Sometimes, when genres collide, what once seemed like oil to water can become an intelligent, body moving, mixed-medium masterpiece. That being said, the hodgepodge of influence behind Best Thing, the new album from self-proclaimed rock/pop/funk band, My Lucky Fish, contains nine tracks that, unfortunately, just don’t mix, and leave my ears feeling a little lost at sea. Songs feature piano, multiple guitars, bass and drums, and like the brother/sister duo, Angus and Julia Stone (who I am in no way comparing to My Lucky Fish), co-vocalists David Mark Smith and Rachael Tilstra Schoellen tag team the tracks, switching leads and at times providing back-up for one another. Playing together since 2010, the band may have a little growing up to do. Each of the five contributing members bring something different to the table, and I believe that if they find a way to understand and nurture their individual strengths and bind them with talent and drive, My Lucky Fish can make a splash. This entry was posted in Reviews and tagged Ballad, Best Thing, David Mark Smith, Doug Sharpe, funk, metal, My Lucky Fish, pop, Rachael Schoellen, Ricky Furr, Tom Graham by Greg. Bookmark the permalink.